Sorry for the movie reference, I just couldn't help myself. Oh and please tell me you can name the movie! We are huge fans of peanuts here! Needless to say, when the nice folks at Planters offered to share a few of their nut varieties with us, I couldn't pass it up! The funny part is that we already had the Dry Roasted and Unsalted Dry Roasted jars in our pantry. They are a standard pantry item here for snacks! 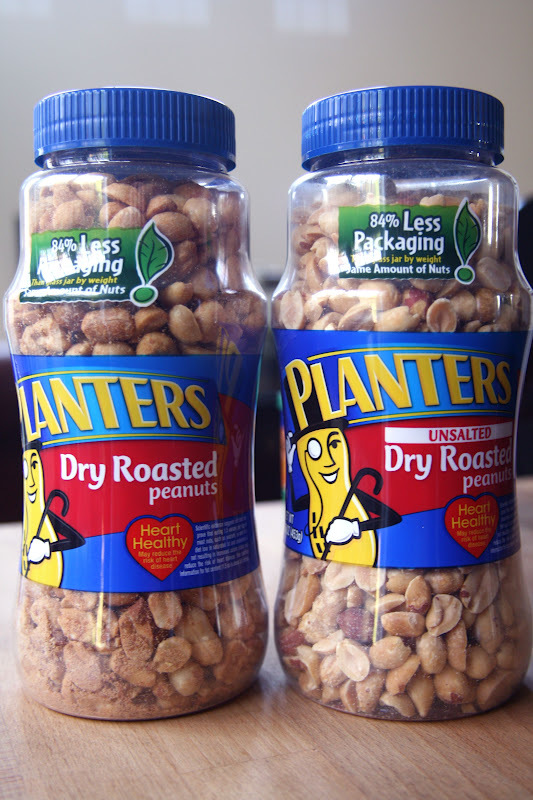 Planters peanuts contain 6 vitamins and minerals, are a good source of protein with a nice mix of saturated, polyunsaturated and monounsaturated fats. The unsalted variety only has 5mg of sodium and is perfect for making homemade peanut butter or for a less salty snack! 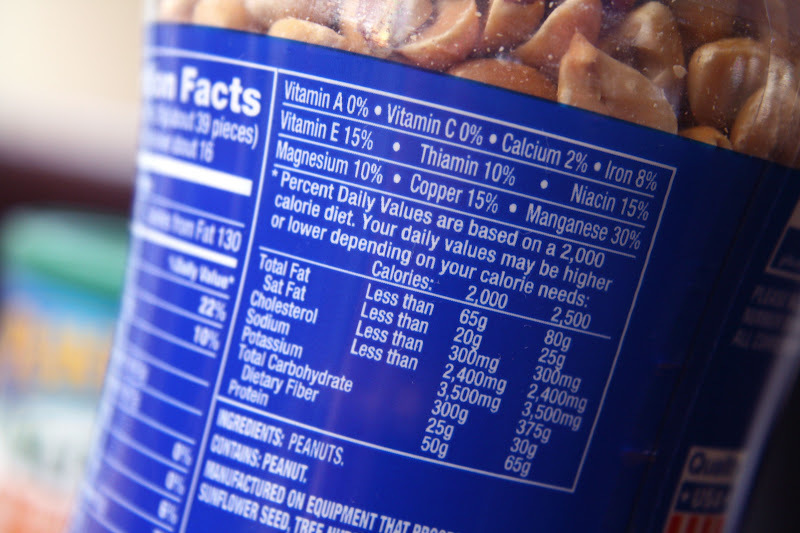 Planters peanuts contain Thiamin and Niacin which help convert food into energy! They are also a source of dietary fiber which helps support a healthy digestive system. 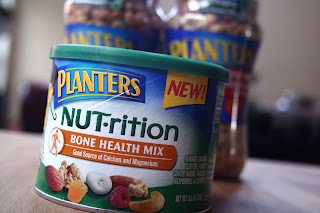 The Planters NUT-rition Bone Health Mix combines the delicious flavors of almonds, granola clusters, yogurt-covered raisins, peaches, raspberries & cashews. The mix provides a good source of calcium and magnesium, which help support bone health. Sadly, Tony and I could not eat this variety since it has dairy and wheat in it, but the boys loved it! I'm always on the hunt for healthy snacks for them to take on the go and this one is a perfect mix of salty and sweet. So, would you like to enjoy some nuts too? 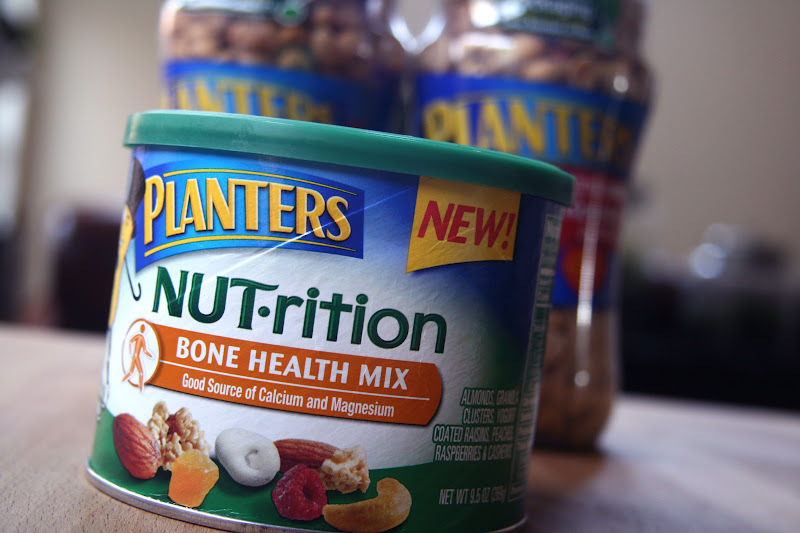 Planters is offering to give one lucky winner 2 jars of Planters Unsalted Dry Roasted Peanuts, 2 jars of Planters Dry Roasted Peanuts and 2 jars of Planters NUT-rition Bone Health Mix. All you have to do is tell me if you like peanuts and what is your favorite way to use them (or if you like them as a snack all on their own). For an additional entry, you can tweet, post the giveaway on facebook or blog about it. Maximum of two entries per person. The contest closes on Sunday, February 19th at midnight. I will announce the winner on Monday, February 20th. ***Disclaimer: I did receive samples of this product, but my statements and reviews are my own. My favorite thing about peanuts is PEANUT BUTTER - love it! Classic PB&J is great but my favorite is Thai peanut sauce. Can't get enough of it. I posted your link on FB. I'd love to win peanuts. 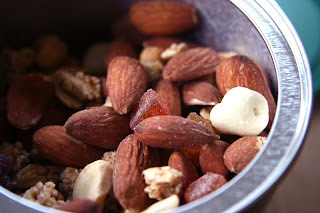 We eat them as snacks, put them in recipes with tofu and make our own nut butter. Yum! I love peanuts....I usually eat them by themselves, but I do love throwing them in with a veggie stir fry! We love eating chocolate covered peanuts! I love peanuts; although, I'd rather not enter because many of those mixes contain wheat and soy. You were the one who invented figgy peanut butter, weren't you?! I still dream of that. Still haven't made it, but it's on my list! Nothing like peanuts crushed up and coated on some chicken breasts and baked up in the oven! We are peanut people! The jar of peanut butter never even makes it back to the pantry. Plus now that I really have to push proteins, I'm a peanut flour convert! i'm with tony, bummer about the wheat. But i know their other nuts are GF. I love planters!!! The brazil nuts are my favorite. Oh nuts! :) We love nuts around here! I usually have to eat them on yogurt of with some chocolate. :) What a fun giveaway Sarena! I just stocked up on Planter's natural PB. 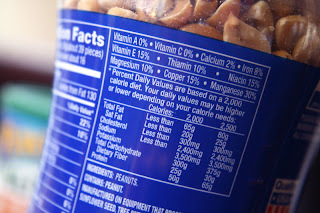 PB has to be my favorite nut butter, and peanuts are probably in my top 3 nuts! Haha, I click over here because I saw the movie reference. I am a huge Princess Bride fan!! So huge. What's better than that was you are giving away peanuts. I love all kinds of nuts. Peanuts I mainly use for snacking. I wish I was a better cook so that I can throw them in some curry or make a fancy sauce with it but I barely know how to hard boil eggs. i love peanuts and i love to eat them with something sweet like raisins or dates!! I LOVE peanuts! I love putting them in salad. If they are salted, they are especially good with raisins! I LOOOOOVE peanuts! My favorite thing to do is make my own nut butters with them then dip apple/pear/carrot slices in it! And I would LOVE to win this giveaway! I grew up with bottles of Planters Dry Roasted around the house. Me and my dad just ate them straight-up. check out this comical feature documentary that questions the health benefits of milk and dairy products. They also have a facebook page where they upload some really great links to articles. I LOVE peanuts! I put peanut butter in my oatmeal every morning along with a banana, chia seeds, and a dash of cinnamon. I love peanuts! My favorite way to eat them is in the form of peanut butter... I go through jars and jars of it. no more rhymes i mean it! anybody want a peanut? hahaha it's princess bride right?! i hope so cause that happens to be my favorite part. i laugh everytime.